My latest creation is a true delight! 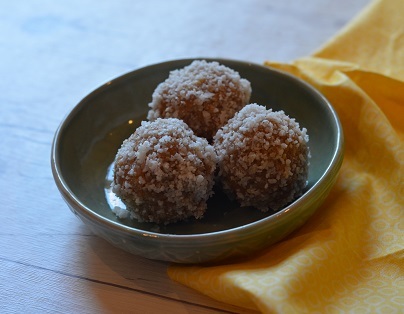 I created this recipe last Sunday to take to our families Mother’s Day lunch and the bliss balls were enjoyed by all (even my brother who is extremely fussy with food- Winning!). As always this recipe is simple, easy and delicious! Combine all ingredients in a high powered food processor until smooth and well combined. I made these this morning and they were exactly what I needed to give me a pick me up after a sleep deprived night. Yum!